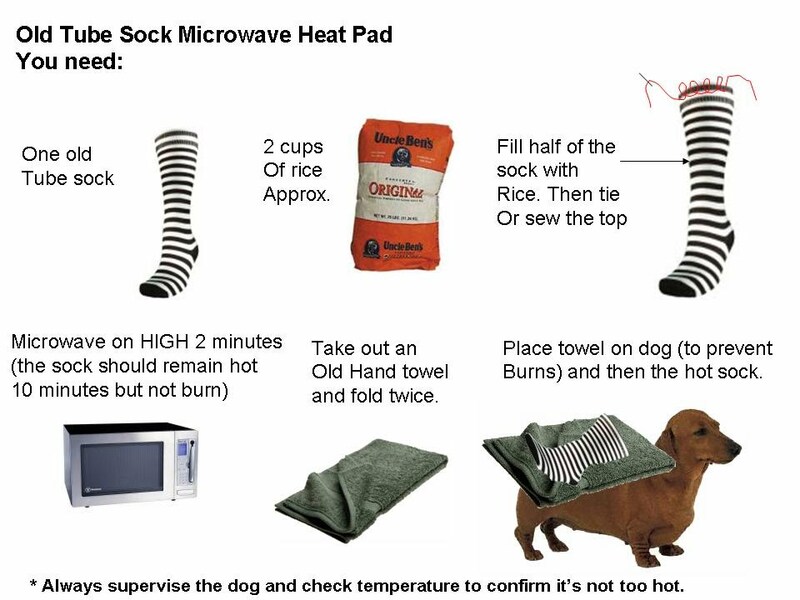 The Old Tube Sock Heat Pad works like a charm and is much cheaper than buying one at a store. 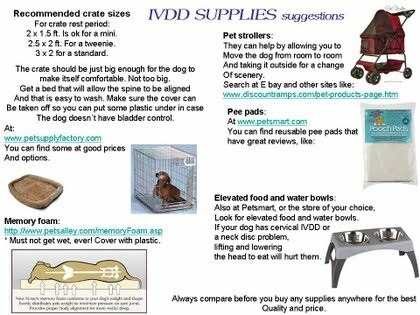 Great for dogs with back soreness or arthritis. This is a fast, cheap and easy way to comfort your aching pup. Rescue Remedy is made from flowers. It´s natural. And it can be a life saver when your whining dog starts to "sing the blues" while on crate rest. 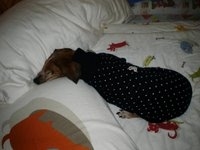 Put 4 drops in the drinking water, twice a day, during the stressful times, and your dog will relax. If the dog is already stressed, it can take up to 3 days to fully kick in. But again, it´s natural. I also use it putting 2 drops on 2 treats and give it to my dogs when I notice there is going ot be thunder or fireworks, and it helps them... well... to tell you the truth... they don´t relax completly... but they don´t go as bezerk as they usually do without it. 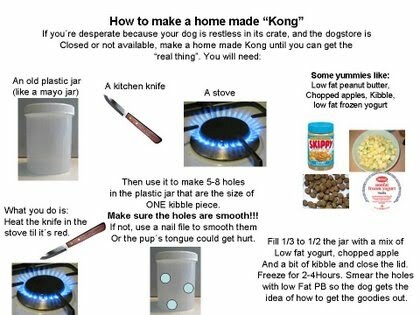 Here is an easy way to make a home made pacifier while you can get a real Kong. Kongs are lifesavers while dogs are "doing time" in the crate, but if you don´t have one right now, make one of these until you get to the petstore and can buy a real Kong. Click on the image to enlarge it.